The rain fall water whatsoever comes to earth sheds in to the soil , in land or in water bodies beneath the land. 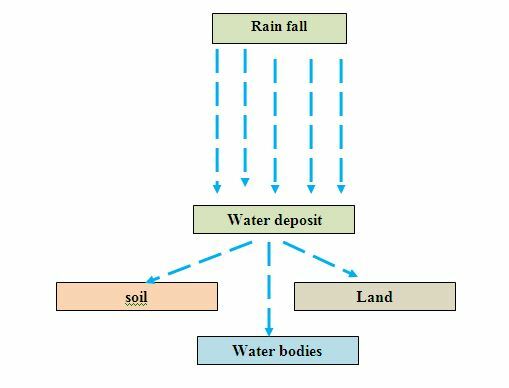 In water management the water scarcity reason is different in each watershed. 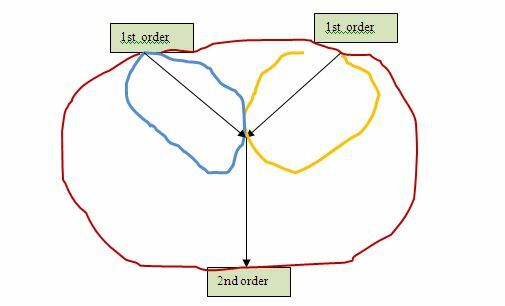 Likewise the water availability reasons also vary according to stream order in each watershed . 4. 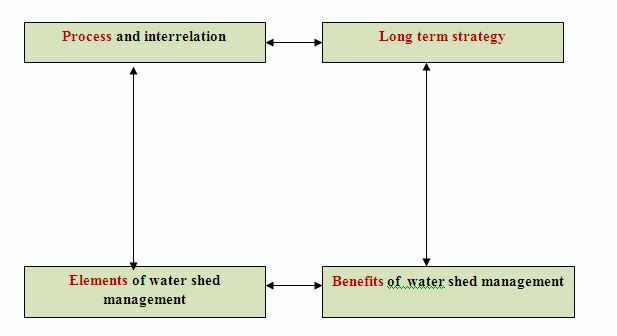 The benefits of the watershed management approach. • Slowing down the floods peaks in downstream areas. • Accelerating infiltration of rainwater. • Reduction in occurrence of floods and the resultant damage by. • Checking and rehabilitating the deteriorating lands. • Protection and enhancement of the water resource originating in the watershed. • Minimizing the effect of sediment yield on the watershed. while making a watershed plan is a document is prepared by initiation of local municipalities or conservation authorities for the management of water, land/water interactions, aquatic and terrestrial life and resources. The local information recognize the existing potential or deterioration of the environment as an effect of existing and future urban development. Its goal is The protection , enhancement , and rehabilitation of water resources is the main objective in relation to existing or changing land use. The hydrologic cycle that integrates physical, chemical, and biological processes of the ecosystem in the watershed is the fundamental process for water management .This plan includes the management goals, environmental constraints objectives, control targets. All these data and information is integrated with either land use or rehabilitation planning and decisions. Public involvement and consultation is the key components of watershed planning .The first step of watershed planning process is to develop water management goals and objectives. In a watershed management there is one goal i.e to protect and sustain whatever all the essential requirements of watershed health. and rehabilitate whatever is degraded and a number objectives are channelized to fulfill these goals . These objectives relates to ecological health, sustainable development, and socio-economic enhancement, water quantity and quality. These are complementary or competitive in nature . Irrigation for agriculture – How Efficient it is ?